Buying a home is a huge step for your family. Putting down roots usually means buying a house. 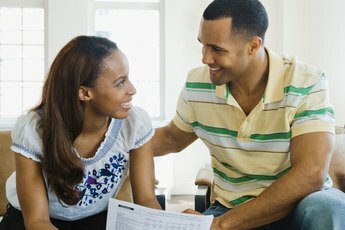 When you and your spouse are ready to commit to homeownership, you need to start preparations. Before you start filling out mortgage applications, know how much house you can afford to buy. Your first step is evaluating your budget for housing costs. Next, you must calculate how much house equates to that monthly payment. According to the Wall Street Journal, you should spend no more than 28 percent of your monthly income on your mortgage payment. Assemble your pay stubs and other income documents. Add the numbers up to get your total take home income. 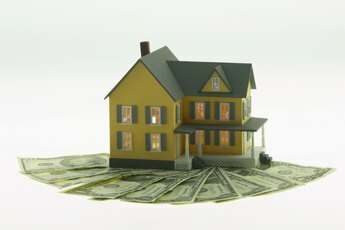 Multiply that number by 28 percent to find out what you can safely afford -- with the understanding that 28 percent is the maximum suggested percentage. With your housing expense calculated, you need to calculate a total loan amount you could afford. The easiest way to calculate your mortgage payment is using an online calculator, because there are too many possible variables to give a one-size-fits-all formula. Online calculators use the total loan amount and the available interest rates to estimate your monthly mortgage payments, which may be different with different lenders, depending on interest rates and the length, or term, of a loan. Sophisticated calculators even add in your additional mortgage costs. By trying different house prices with the interest rates you have found for different loan terms, you can narrow down the range of house prices you are able to afford with your available monthly mortgage payment budget. Your monthly mortgage payment consists of more than your house payment. Expect additional charges each month if your lender utilizes an escrow account to pay for your essentials -- home insurance, property taxes and private mortgage insurance. 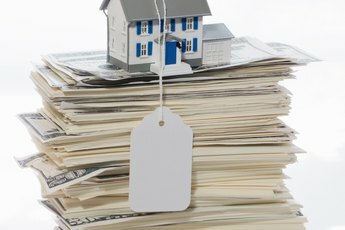 According to CNN Money, you can easily estimate your payment using the national averages, as long as you know it’s not precise. To use those figures, assume $3,500 for your property taxes and $481 for homeowners insurance. If you put down less than 20 percent on the house, expect to pay extra for private mortgage insurance. You may find your estimated private mortgage insurance amount in your Good Faith Estimate after you apply for your mortgage loan. Your lender must provide you with specific lending disclosures within three business days of your application. The Good Faith Estimate gives you a clear understanding of the fees associated with your loan, including anticipated closing costs and your monthly mortgage payment. The Truth-In-Lending disclosure also provides monthly payment estimates. Consumer Financial Protection Bureau: How Do I Figure Out What My Monthly Payment For a Mortgage Loan Will Be?